Designer shower tiles can create an interesting focal point in the bathroom. While many shower walls end up as a monochromatic area, using a little design skill can create a beautiful designer enclosure without going overboard on budget. The shower floor can be used to bring an organic, earthy pattern to the bathroom, and the shower walls can be tiled in single color tiles or multiple different tile colors and styles to bring beauty to your bathroom. Designer tiles give your shower a luxury feel. Use smaller tiles when tiling a shower floor to allow the floor to slope to your drain. Mosaic tiles that are 3 inch by 3 inch or smaller make a good choice. Choose tile with a rougher texture to give good grip underfoot. Organic patterns can be achieved using stone pebble tiles, which can provide a relaxing natural texture underfoot. Other tiles, like 2 inch by 2 inch mosaics, are available in a variety of colors to match any decor. Use one size of tiles on shower walls to create regularity. Using just one size and color of tile can also hide any imperfections that might be present in your walls or tile installation. 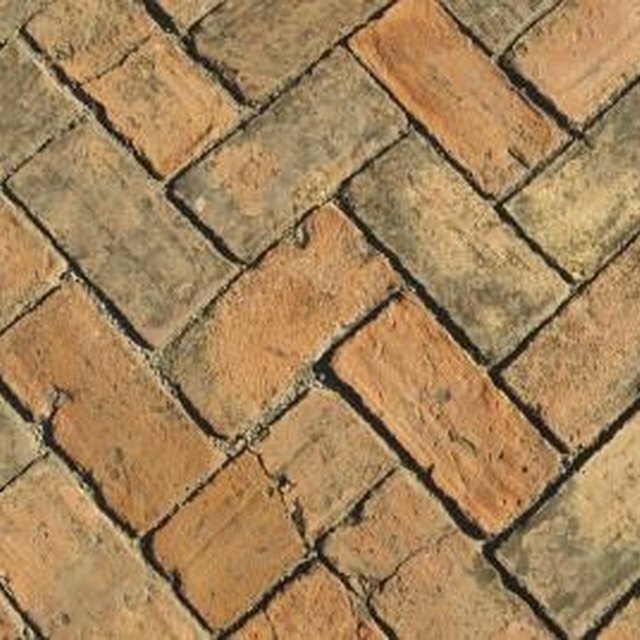 A single tile pattern does not have to be an even, straight-laid pattern; instead, use a brick-work pattern to generate interest by offsetting each row of tiles halfway from the previous row. For added vertical interest, turn tiles on a diagonal. This method creates more waste, but creates a visually exciting finish. Use accent strips and insert pieces to jazz up your shower. Run a band of different color tiles or listello strips at eye level in your shower surround to create an interesting line. Larger insert pieces can be centered in a pattern of smaller tiles as a beautiful accent. Consider using inserts in the same metallic color as your faucet trim to tie your shower together. Bolder designs can be created with a checkerboard tile pattern using two or more colors. Use high-gloss tile for a clean shine, or matte tiles for a finish that will hide dirt. Grout colors can also be used to create design accents. A similar color to your tile can create a clean flow to the wall, and a contrasting grout color to frame in a more decorative look.